Jeremiah Fortune was born Columbia, SC in the year 2352. He is the youngest of two boys with a older brother Michael who is 8 years older than Jeremiah. 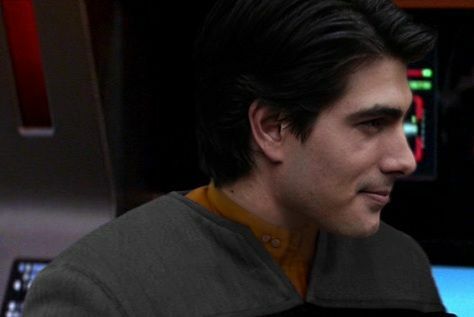 Like his brother Jeremiah enrolled in Starfleet Academy at the age of seventeen majoring in security and minoring in command. Jeremiah also graduated in the top one percentile of his class even beating his brother. Fate would have him assigned to his brother's ship the newly launched Lexington in 2374. Many of the crew felt Rothchild used his pull as CO to get Jeremiah the assignment since Michael was coming over from the Tian An Men with him. Jeremiah certainly lived up to expectations and some during his five years on Lexington and despite Thomas Fulton being more experienced Jeremiah was chosen to be the new Assistant when Assistant Chief Holland left the Lexington.